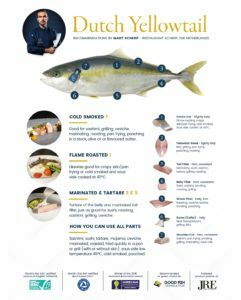 Our Dutch Yellowtail, also known as Kingfish and Hiramasa, is highly prized by top chefs and home cooks alike for its firm texture and sublime, mild taste. 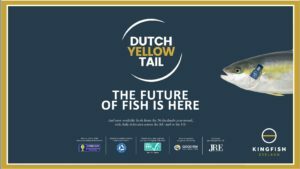 Dutch Yellowtail is a good source of protein and Omega-3. This versatile fish can be served as sushi, sashimi, smoked and grilled either as a fillet or the whole fish. Gourmet Kingfish is a delicious alternative to Bluefin Tuna or Swordfish. This comfortable, stress-free environment is ideal for raising healthy, strong and happy fish, the Kobe beef of fish. We further supplement this with…… nothing. No supplements whatsoever. 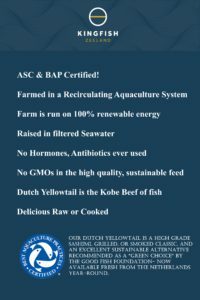 The Recirculating Aquaculture System (RAS) process supports antibiotic-free growth and we only use the highest grade of GMO-free feed (which also results in high levels of healthy Omega 3). We run our operation on 100% renewable energy. 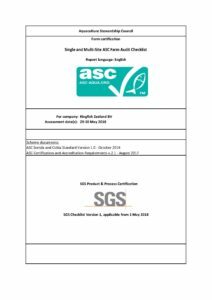 All this is the reason why we are rated the Green Choice by the Good Fish Foundation.